A floor sweeper can be an important component to your cleaning tasks at work. Alphaclean has a diverse range of sweeper models to accommodate your cleaning routine at your place of business. Alphaclean’s product line includes several models of floor sweepers. All models are integrated with TRS technology. This technology has taken Alphaclean’s floor sweepers to an entirely new level where no dirt can escape! On the website you can read more about TRS technology and also view a video demonstration showing just how well Alphaclean sweepers work compared to traditional designs. Alphaclean is able to provide new floor sweepers to a variety of businesses regardless of size or type. Our sweeper models can cater to either small or large business types and are suited for indoor or outdoor use. 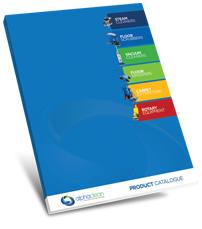 The Alphaclean website is organized so you can research each of the individual specifications on our models so that you may make a better, more knowledgeable decision when purchasing a floor sweeper. There are three great ranges of floor sweepers currently available to clients – the B Series and the G Series. However, Alphaclean has become in such high demand a new series has been created – the R Series. Alphaclean is proud to announce this new range which includes ride on models designed for larger square footage. This new sweeper series will be perfect for larger office areas including warehouses and factories. These products are designed to be reliable and meet all your expectations. They are a durable brand backed by amazing customer service. The combination of a quality product and this service is truly unbeatable. Alphaclean takes a tremendous amount of pride in providing quality floor sweepers to you and your business. Contact us and we’ll do our best meet and exceed every expectation!